Welcome to the official site of Faithful Journey of West Michigan. We are dedicated to sharing God's Word through Southern Gospel music and testimonies, to help further His Kingdom here on earth, and to glorify and praise His holy name. Our prayer is that we can be used as vessels of God to touch hearts and lives and cause people to rejoice in our risen Lord. Contact Faithful Journey via our email contact form. Our New CD Recording is Now Available! 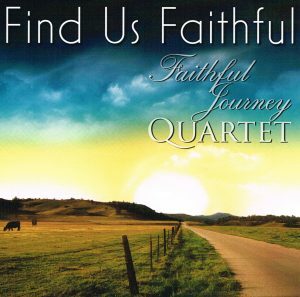 Three CD's, including our newest effort Find Us Faithful, are now available for purchase. Click here to check out sound clips and/or order!